Our products and the packaging in which they are despatched are not toys and are not intended nor recommended for children under the age of 5 to play with or otherwise use or handle. These collars are not dog toys and dogs should not be allowed to play with them. In these Terms and Conditions the words and phrases listed shall have the following meanings. “The Company” means Holly&Lil The Collar Makers Ltd. Company No. 08321467, 90 Tower Bridge Road, London SE1 4TP. “The Customer” means any person or organisation, whether incorporated or unincorporated, that has placed an Order with the Company. “Order” means an order made in accordance with these Terms and Conditions on an Order Form, whether an order form published by the Company on its web site or any other document whether written or electronic or placed by telephone or fax or post providing the information required by the Company and in each case accompanied by full payment including Value Added Tax, postage and packing and transit insurance if required. “Order Form” means a pre-printed order form issued by the Company or a copy of such a form. 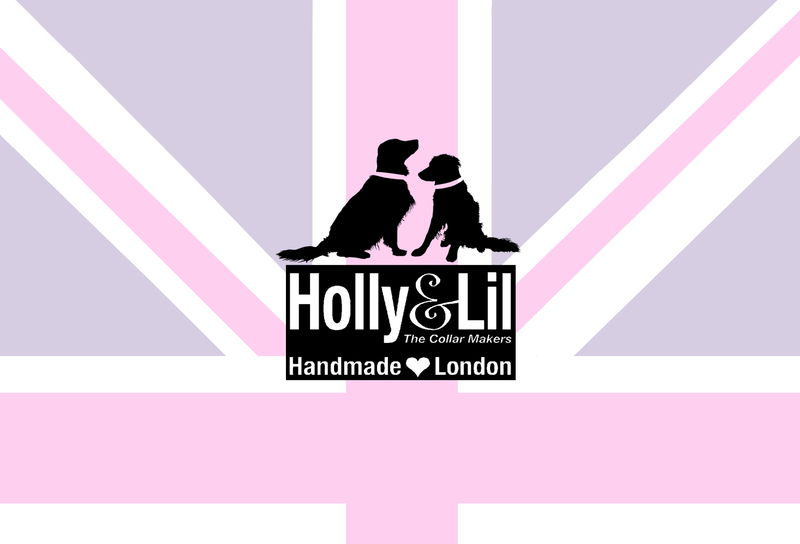 “Made to Order” means any product that a customer has commissioned Holly&Lil to make as a modified version of any item in the catalogue of the Company or made to any other design or specification not being a standard product. “Confirmation Number” means that reference number provided by the Company to the Customer identifying the order made by the Customer on acceptance of the order from the Customer. All products and designs that are created by the Company are copyrighted and cannot be re-created in any form. This copyright shall be strictly enforced and protected by English and international copyright laws. Any reproduction, distribution or modification of the Company’s products or designs without the express written consent of the Company is strictly prohibited. The placing of an Order by a Customer shall constitute an offer to purchase goods from the Company at the currently advertised price or that quoted by the Company. The Company shall have absolute discretion whether to accept such an Offer in whole or in part. If the Company, on receipt of an Order, decides in its absolute discretion not to accept the Offer, or any part of it, the Company shall advise the Customer of that decision and refund or return to the Customer the monies sent with the Order or that part of those monies that represents the advertised price of that part of the Order not accepted. The Company shall use its best endeavours to supply all items ordered within a reasonable period of time. If however the items ordered are not available the Company reserves the right to cancel any such Order and return the monies that represents the advertised price of that Order or part of the Order that is cancelled. Title to and risk in the items ordered by the Customer shall pass to the Customer on delivery of those items to the address supplied by the Customer with the Order and upon payment in full to the Company of the advertised price of the goods ordered. 8. Guarantee and Limitation of Liability. All products supplied by the Company have been carefully selected and manufactured to the highest standard. As the products of the Company are hand made they may vary in colour, size and materials used from any photograph depicting that item whether on the web site, catalogue or any other advertisement. If a Customer is not satisfied with any product supplied by the Company the Customer may return that item to the Company in its original and un-used condition within 10 days of receipt, for a replacement or refund. No replacement or refund shall be due to the Customer until the Company has received the items returned and satisfied itself that the product is in its original and unused condition. The Company cannot offer any refund or replacement for items Made to Order. The Company’s liability for any and all purposes including loss consequential to a breach of these Terms and Conditions or if any item supplied is in any way unsatisfactory, shall be limited to a maximum value equal to that paid by the Customer to the Company for the items in question. Any product returned shall be accompanied by a returns form sent to the address below with full postage paid . 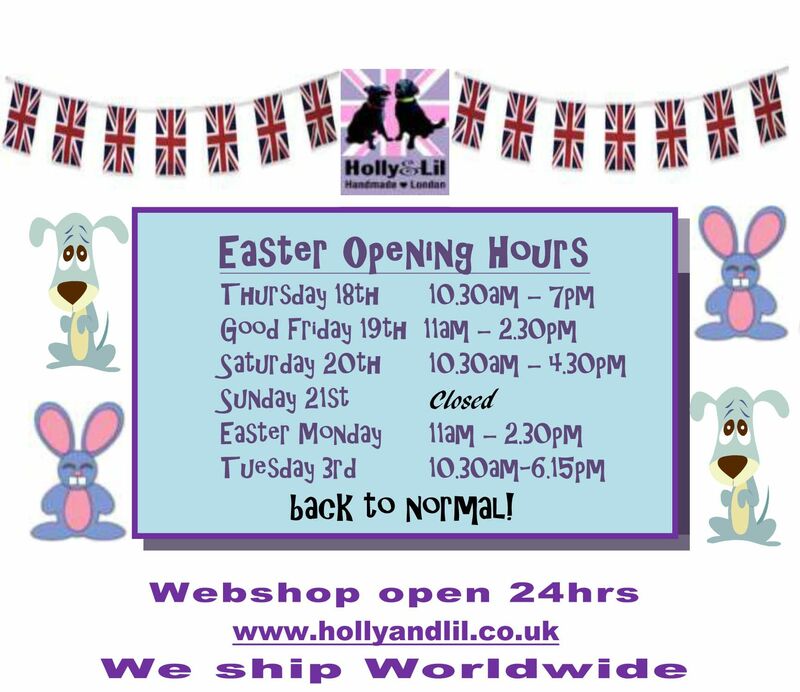 All notices of order cancellation or return of items must be made by email to collars@hollyandlil.co.uk or in writing to the address above. When the Company is liable to refund any amount to a Customer under these Terms and Conditions that refund shall be made either by cheque to the Customer or by a payment to the credit card used by the Customer to pay the price of the Order. If you return a collar it is advised to return signed for as it is not ours again until we receive it please bear that in mind. If the item is faulty or we sent you something incorrectly we will refund your post. If you simply change your mind then we will not refund postage. For overseas items please write ''RETURNING TO MANUFACTURER'' on address label as we will not/do not want to pay VAT on items you are returning to us. 10. Cancellation or Amendment of Order. 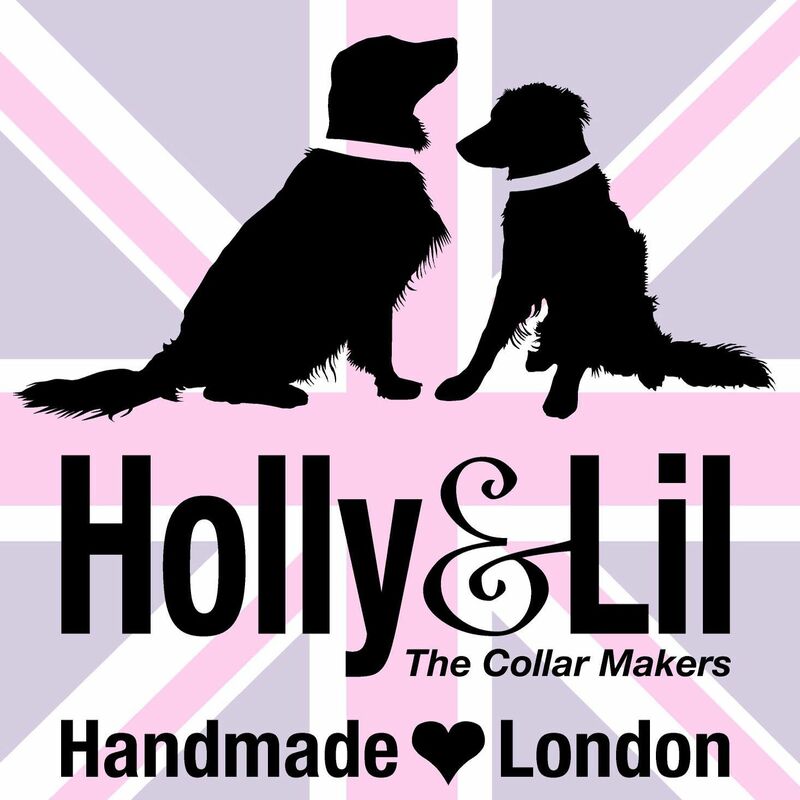 Save in respect of any product Made to Order a Customer may at any time before the day of despatch of the Order amend or cancel the Order without incurring any extra charge provided that in all cases where the Customer purports to amend or cancel the Order the Customer provides notice of that intention by email to collars@hollyandlil.co.uk or by post to the returns department (address above) including the confirmation number of the Order and the name and address of the Customer. This does not affect any of the statutory rights of the Customer as a consumer. 12. Text Graphics and Photographs. All text graphics and photographs used by the Company in the catalogue, web site and any other advertisement or publication are owned by the Company and must not be reproduced, copied, up-loaded, posted, transmitted or distributed in any way without the express written permission of the Company. Whilst every effort is made to ensure that all information provided by the Company is as accurate as possible no liability is accepted for any errors or inaccuracies in the material published by the Company whether on the web site, in the catalogue or any other material published by or on behalf of the Company. Unless expressly agreed otherwise in writing between the Company and the Customer these terms and Conditions shall be governed by English Law and subject to the exclusive jurisdiction of the English Courts. These Terms and Conditions shall override all other contractual terms other than those implied under sections 12 and 14 of the Sale of Goods Act 1979. The Company reserve the right from time to time to amend or replace these Terms and Conditions. The publication of such amended Terms and Conditions on the Company’s web site shall constitute sufficient notice of such amendments or replacement to all Customers. Any amendment or replacement of the Terms and Conditions after an Order has been accepted in accordance with clause 4 above shall have no application to that Order. Holly&Lil Ltd are registered under the 1998 Data Protection Act and we do not share our customer information with any other companies. This site also conforms to the Consumer Protection (distance selling) Regulations 2000 and the E-Commerce Directive 2002.